David James Dahl, 50, founder of Dave’s Killer Bread is behaving erratically. 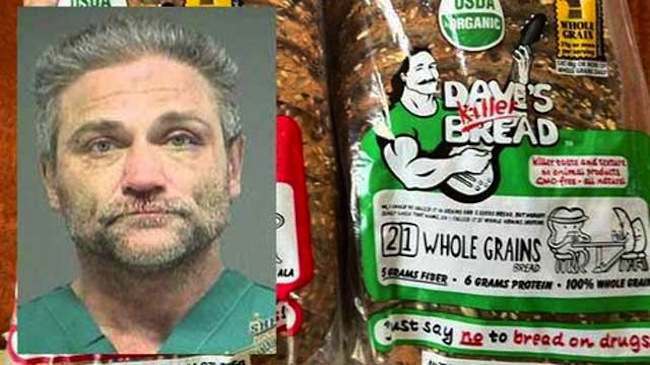 Dave, once a criminal, was redeemed by his organic bread line. Police arrive. Dahl then, as they claim, climbs into his car and rammed three police vehicles. He then fights with police, who taser him. “I don’t think people want to use him as a role model anymore, but I don’t think you should discount the positive aspects that he was able to accomplish,” adxs Anne Carter, the General Manager at the Medford Food Co-Op. But what about the bread?